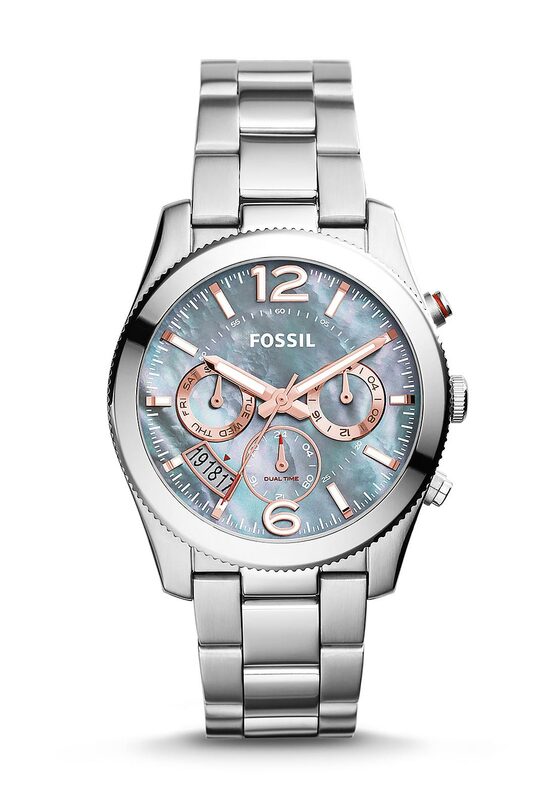 This watch from Fossil combines masculine details like textured dials and luminous indices for the modern woman. The grey mother of pearl dial mirrors the gradient colours of a starry sky, while rose gold accents on the dials, hands and date display add a hint of femininity. 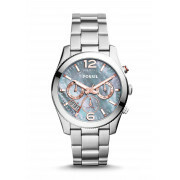 This watch is presented in Fossil packaging and has a two year guarantee.